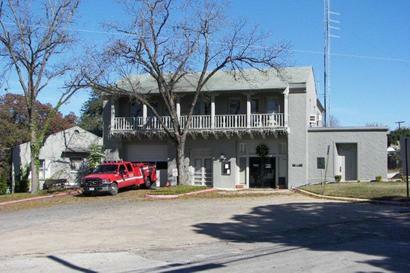 "The Terrell Hills City Hall is located in a renovated 1920s era fire station bought from the city of San Antonio in 1957." - Terry Jeanson, December 2009 photo. Frederick Terrell is the town’s originator. 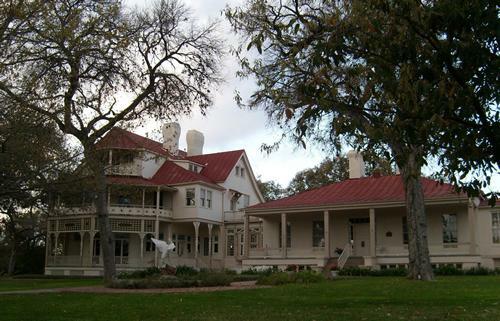 As early as the 1920s, Terrell promoted the town as a suburb – even before the term was known. 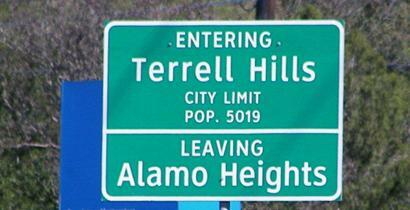 Thanks to Terrell’s work, the community had over 1200 residents by 1930 and incorporated nine years later. 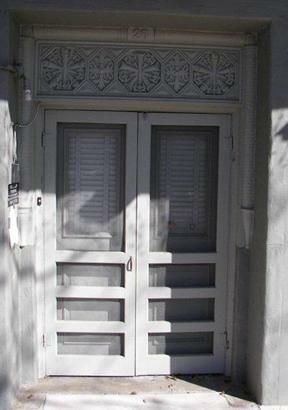 WWII put things on hold, but in 1945 San Antonio annexed the town without benefit of an election. Terrell Hills sued and won. The 1950 population was just short of 3,000 in 1950 and grew to 5,572 by 1960. It had decreased to 4,600 by 1990 and has since returned to over 5,000.